Building a LEGO pyramid is fun. Devouring a pyramid made of DIY stackable gummy LEGO is better. If you’re looking for a kid-friendly recipe or fun food crafts to make at home, look no further. 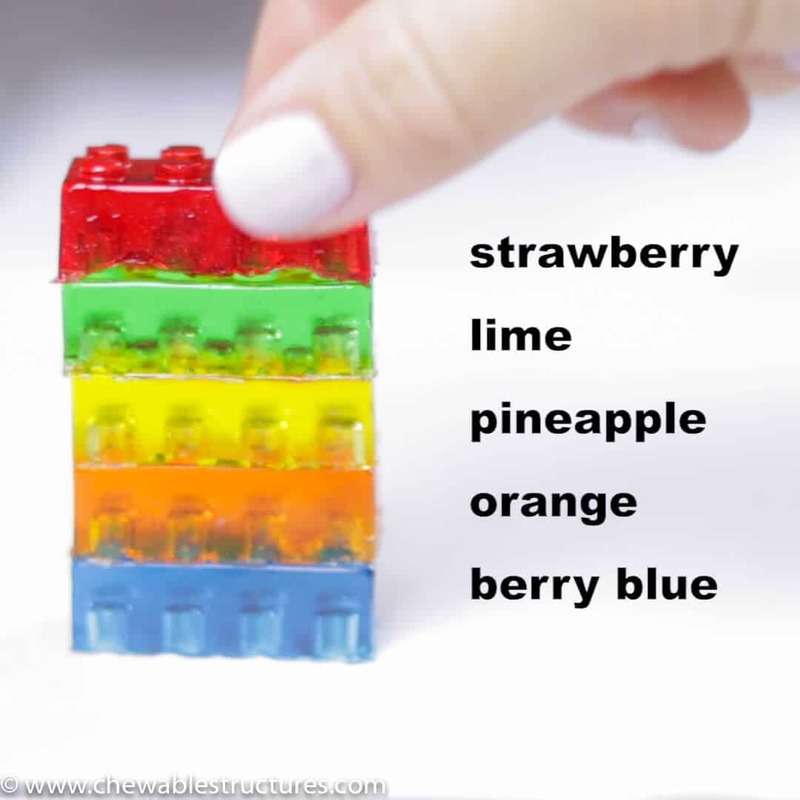 If you know how to make JELL-O, then you’re well on your way to making this easy gummy LEGO recipe. All you need is this Candy Block Mold by The Modern Gummy and a few other ingredients. Also, if you want an adult twist, you can tweak the recipe to include clear vodka or clear rum. WATCH THE STEP-BY-STEP RECIPE VIDEO TUTORIAL BELOW. It’s a lot of fun to make gummy JELL-O bricks! Tip 1: Spray vegetable oil on the mold before adding the gummy mixture. I also love to give stackable gummy LEGO bricks away as birthday and holiday gifts. Edible gifts are the best! Whether it’s a kid or an adult, their eyes always light up. Plus, if you refrigerate the gummy LEGO bricks in an airtight container they’ll last for around two weeks. This also means that you can make the bricks ahead of time, then wrap them up when you’re ready to give them as gifts. Some of the best JELLO flavors: strawberry, lime, pineapple, orange and berry blue. Stackable LEGO gummies! Spray vegetable oil on the base and lid of The Modern Gummy candy mold. In a small pot, whisk together 1 cup of water, 1/2 cup light corn syrup, and 4 tbsp of Knox gelatin. On low heat, continually whisk the mixture until all lumps disappear. Add strawberry JELL-O powder and whisk together for one minute until combined. 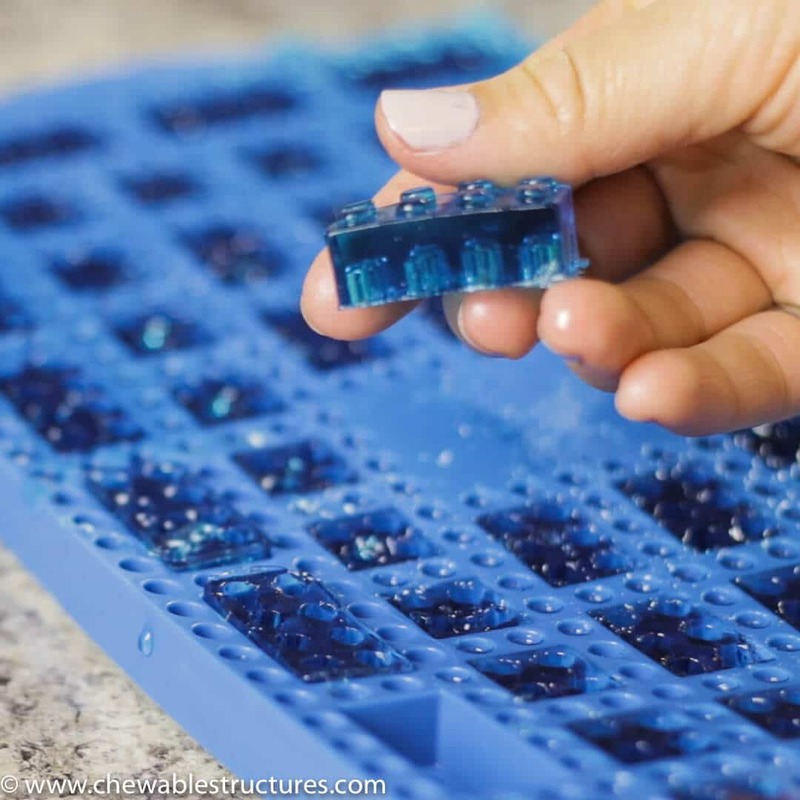 Pour the mixture into the plastic dispensing bottle and fill each brick in The Modern Gummy mold. (see blog post for product links). Instead of the plastic bottles, you can also use the eyedropper that comes with The Modern Gummy candy mold, but it'll take longer. Place gummy mold in fridge. Let set for 1 hour. Repeat above steps for the berry blue, pineapple, lime and orange JELL-O flavors. 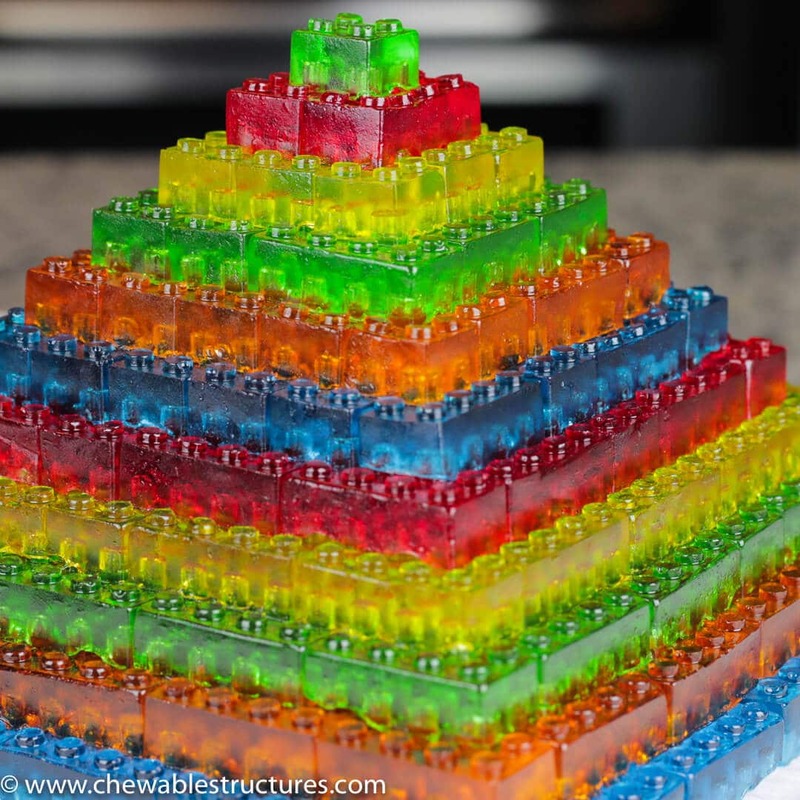 Stack each gummy block to form a pyramid. Regarding preparation time. It only takes around 15 minutes to make the gummy liquid, but it needs to set in the fridge for at least one hour. Depending on how large your pyramid is and how many molds you have, it'll take at least one hour and 15 minutes to build. As a benchmark, I'm using two of The Modern Gummy molds and it takes around 6 hours (including refrigeration time) to build a five-flavor pyramid, which I call a "Party Pyramid."